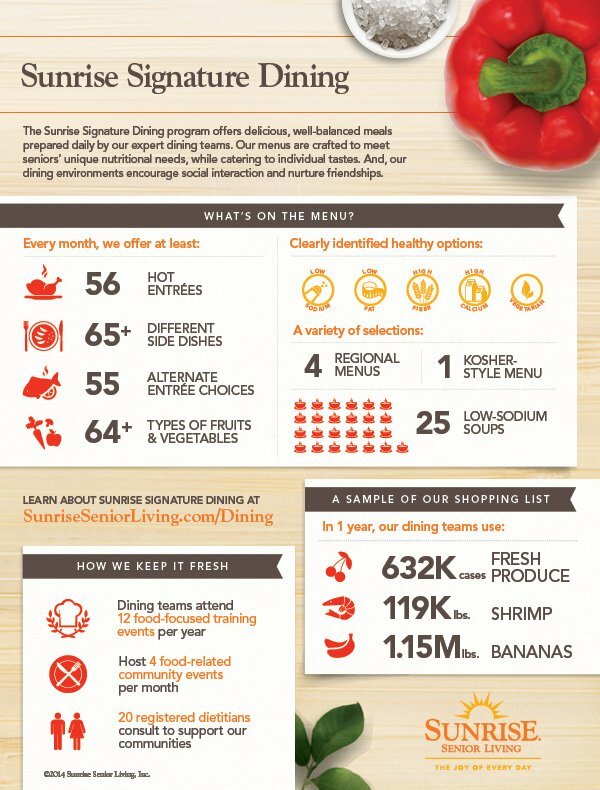 Variety is the spice of life and Sunrise Senior Living dining teams enjoy creating new dishes for residents every month. Our chefs come from many different restaurant backgrounds, but are all trained in the special dietary requirements of senior nutrition. Read about what it takes to serve our senior residents across nearly 300 Sunrise Senior Living communities.